Arroyo Process Equipment is a trusted source for seasoned professionals throughout the fluid processing industry. One of the reasons is because we only represent and distribute pump equipment from the highest-rated processing equipment and pump manufacturers in the world. Our centrifugal and positive displacement pumps are available to clients across the globe, and the models in our product lines come from leading pump manufacturers such as Wright Flow Technologies, Viking Pump, Warren Rupp, Inc., MTH Pumps Toyo Pumps, Deming Pumps and Eaton pumps. When we begin to establish partnerships with manufacturers, the best interest of our clients is always first on our list. We select pump manufacturers that stay ahead of the market, build innovative pump equipment, stand behind their products, and continue to manufacture replacement parts for older models. It’s important to us to have an inventory of replacement parts for both new and older equipment, so an Eaton pumps, Sharpe mixer or other equipment repair can be completed, whether the equipment is brand new or has been in use for a decade or more. 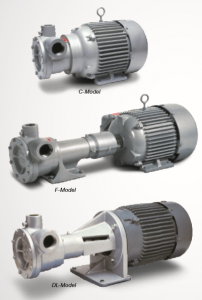 The best interest of end users is also the top priority of our pump manufacturers when they select authorized dealers, and they choose Arroyo Process Equipment for many of same reasons our clients choose us. Why Partyer with Arroyo Process Equipment? For nearly 50 years, we have been committed to providing equipment from the finest pump manufacturers to our customers, and we offer expert services and support that are second to none. Contact one of our Arroyo Process Equipment specialists or a member of our engineering team to learn how we can help you to keep your fluid processing operations in Florida, Georgia, Puerto Rico, Trinidad and beyond running smoothly and efficiently.